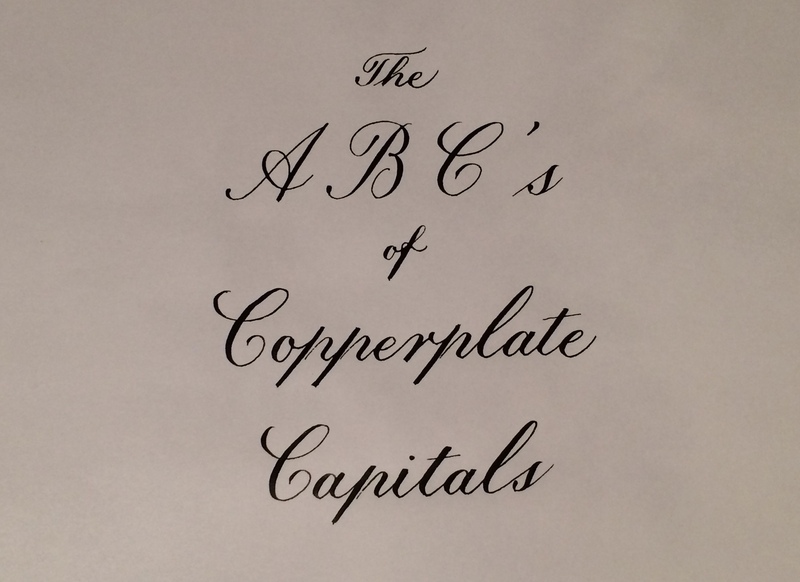 In September we began our study of Copperplate with the basic strokes and the lowercase letters. 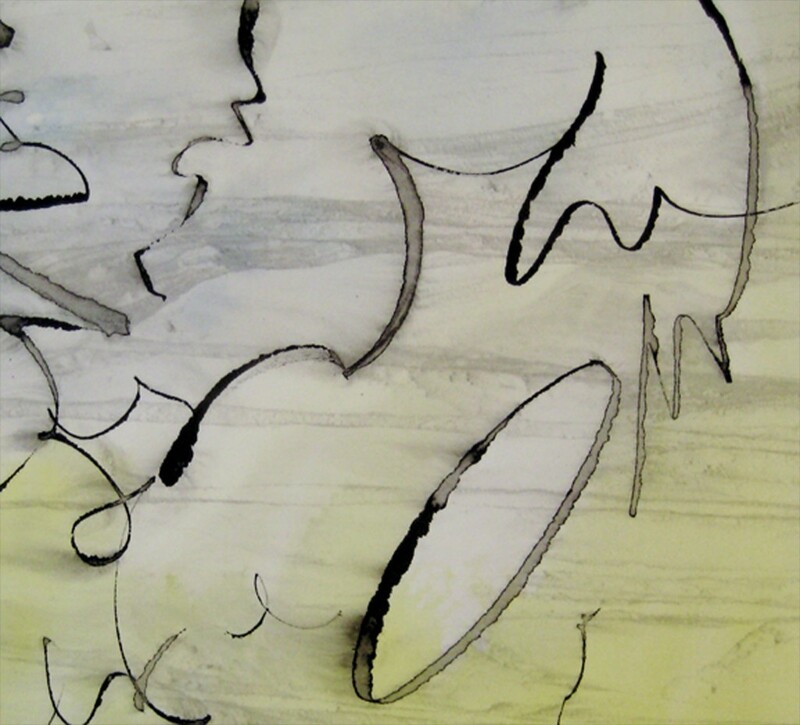 We will continue our exploration of this elegant hand by focusing on the capital letters. 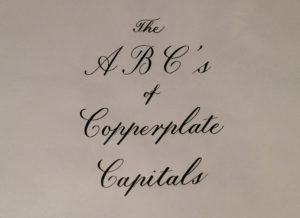 Copperplate capitals can be ornate and filled with flourishes or they can express the simple beauty of the oval and the compound curve. Since you need a firm foundation on which to build, we will concentrate on the unadorned letters. You have to walk before you can run.